The vibrant, energetic color, the color of love, the color of emotions was explored by the tiny Wittians of Jr.KG. The entire class was drenched in the color of passion & joy. 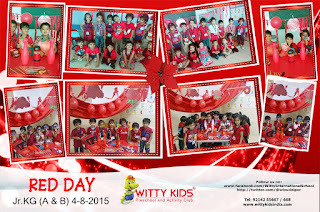 Children learnt about the beauty of Red Color & its importance. One of the best primary color Red was explored by the kids. 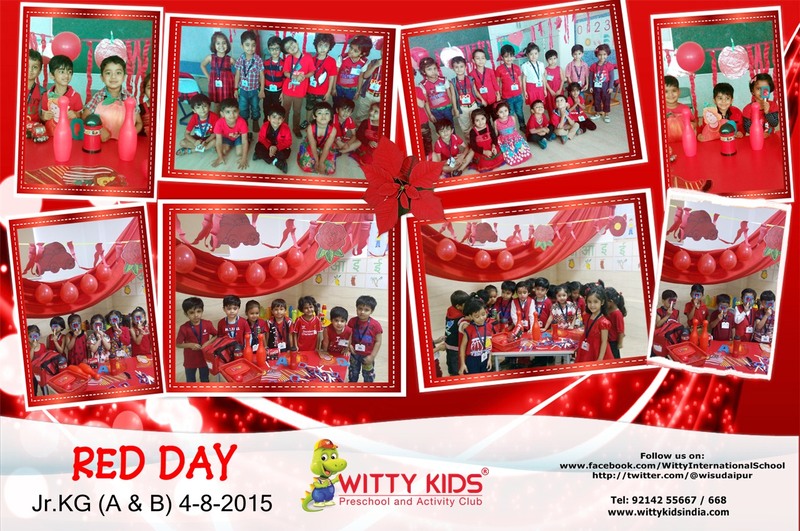 They observed the presence of Red color in their school bag, balloons, bottles, balls, toys and objects around them. Children enjoyed the dramatization of signals and had fun to see the things around them with the help of Red magnifying glass.